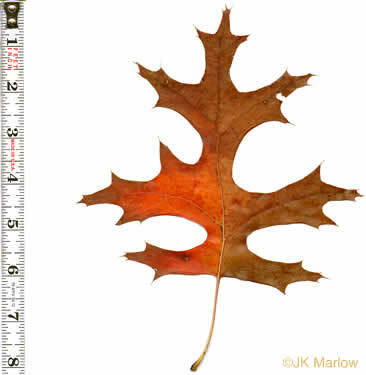 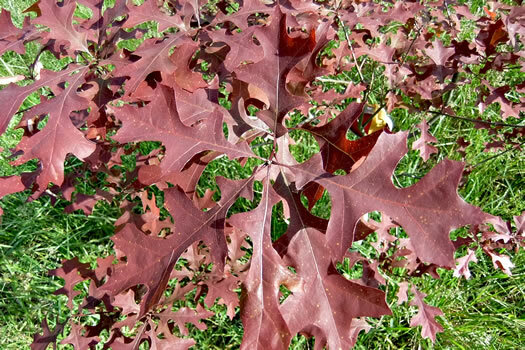 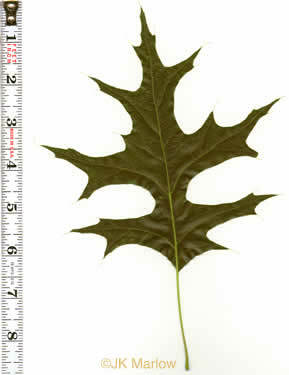 Your search found 9 image(s) of leaves of Pin Oak, Scarlet Oak, Shumard Oak and Texas Oak. 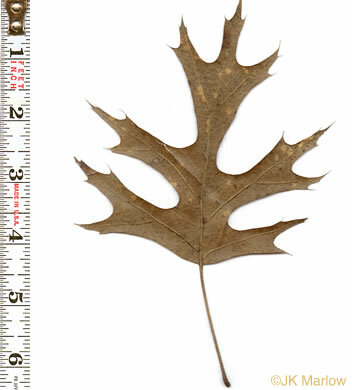 Leaves glabrous except for small tufts of hairs in axils of main veins below, per Trees of the Southeastern United States. 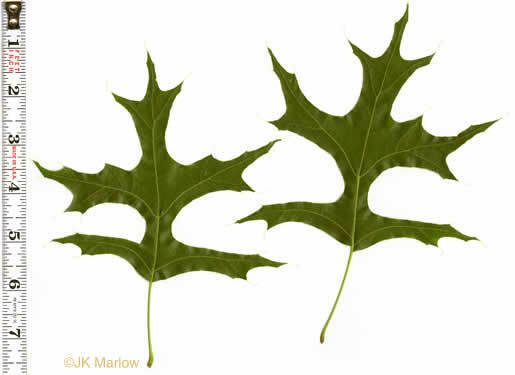 Some leaves w lobes angled toward tip (vs. Pin Oak's usually right angled), per Native Trees of the Southeast, An Identification Guide. 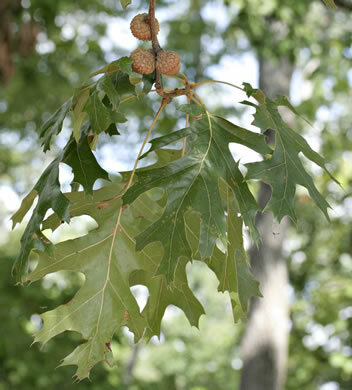 Leaves deeply 5-7 lobed, sinuses rounded, larger lobes with 3+ bristles, per Trees of the Southeastern United States. 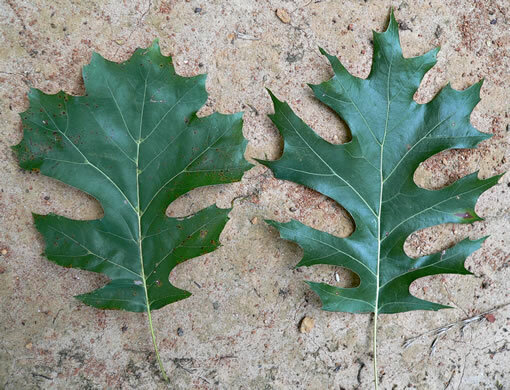 Glossy dark green above, lighter green below with axillary tufts of tomentum, per Field Guide to Native Oak Species of Eastern North America. 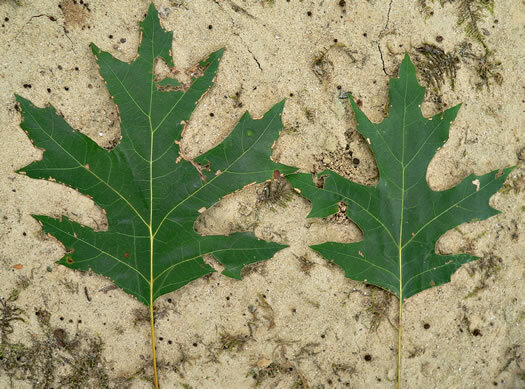 Leaf base rounded, truncate, or shortly tapered, per Native Trees of the Southeast, An Identification Guide. 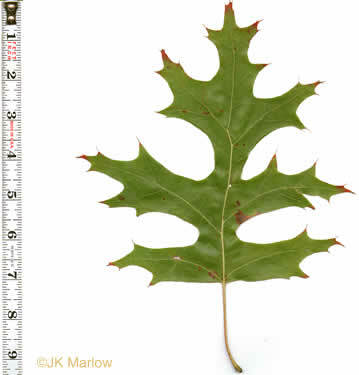 Lf base truncate, glossy light green above, tufts of axillary tomentum below, per Field Guide to Native Oak Species of Eastern North America.